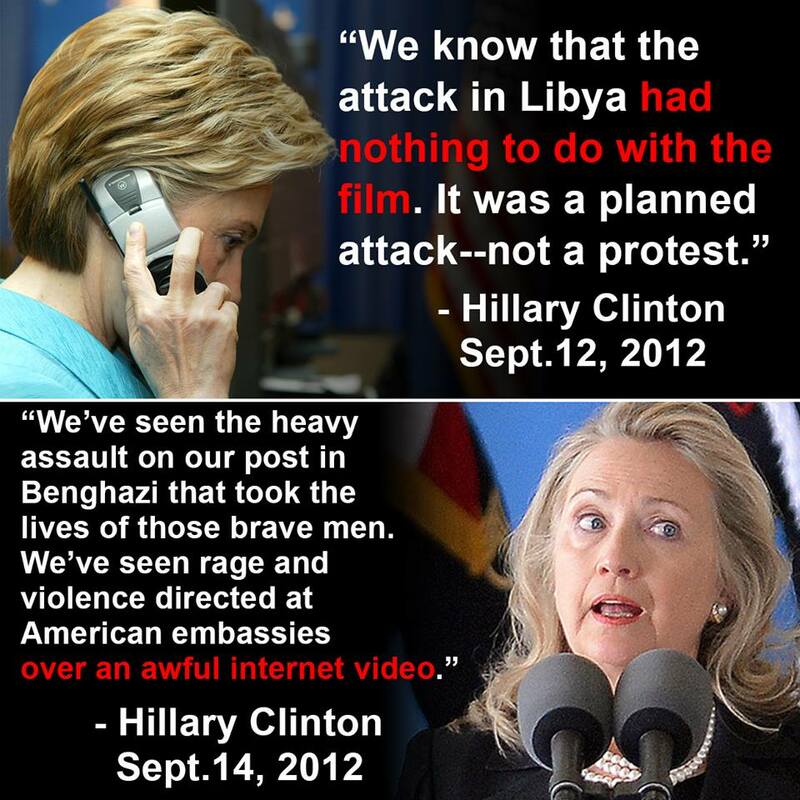 Testifying to a congressional investigating committee about the assassination of Chris Stevens and three Americans at the embassy in Libya, Hillary Clinton proved herself to be a pathological liar and sociopath who couldn’t care less that her actions not only led to the death of an American ambassador, but deceived the American people. Emails recovered from the server she attempted to wipe proved that Stevens sent her hundreds of emails begging for more security that she ignored. She claimed she never saw them but that underlings handled them, just as she sent an email informing her daughter the night Stevens was killed that it was Al-Qaeda, but two days later told the public it was a random riot due to a YouTube video no one had seen. This entry was posted in Congress, Conservatism vs. Liberalism, Election 2016, Islamism and tagged Ambassador Stevens, Barack Obama, Benghazi, Benghazi Investigation, Hillary Clinton, Hillary Clinton campaign, Muslim Brotherhood, Trey Gowdy, U.S. Ambassador assassinated. Bookmark the permalink.